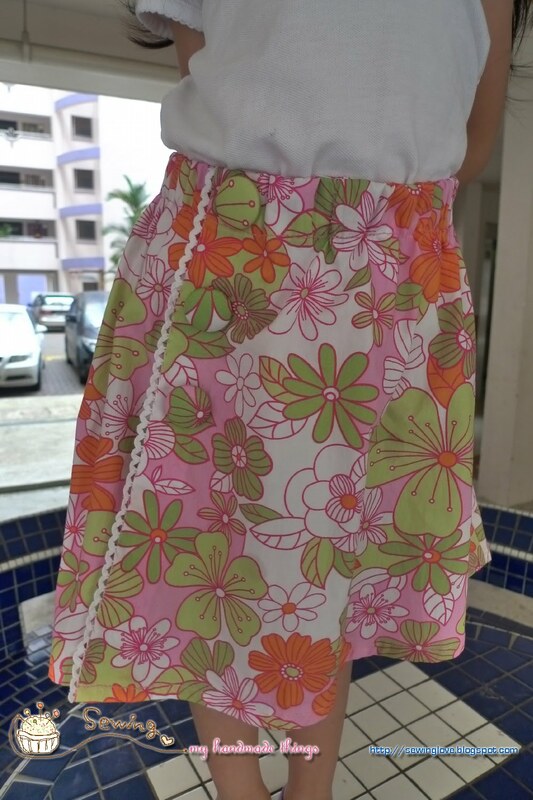 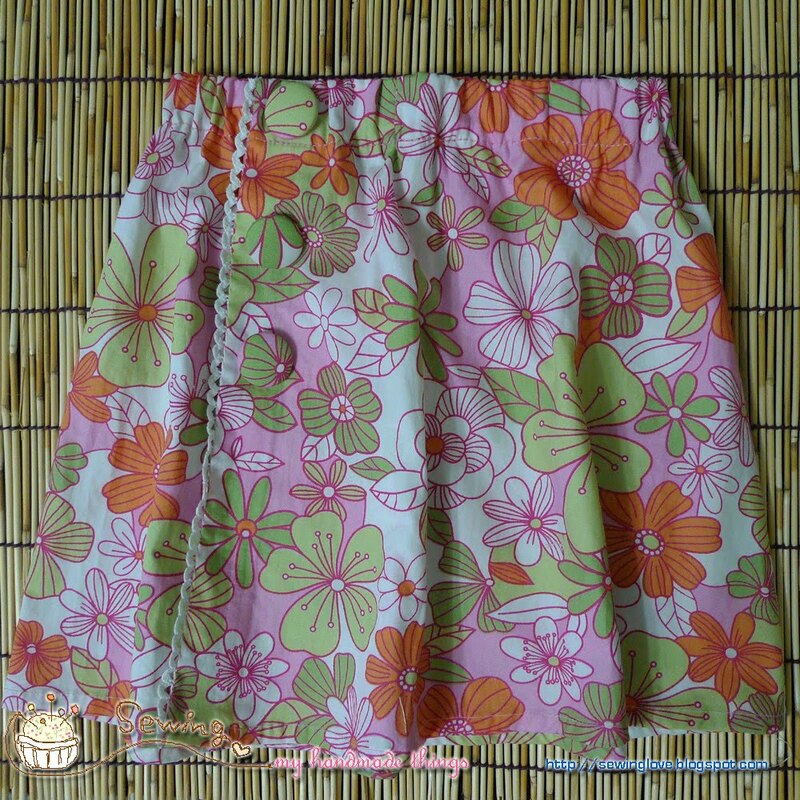 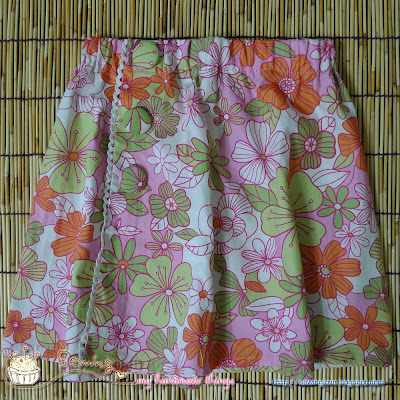 Hand sew faux wrapped skirt using my daughter's out grown dress. 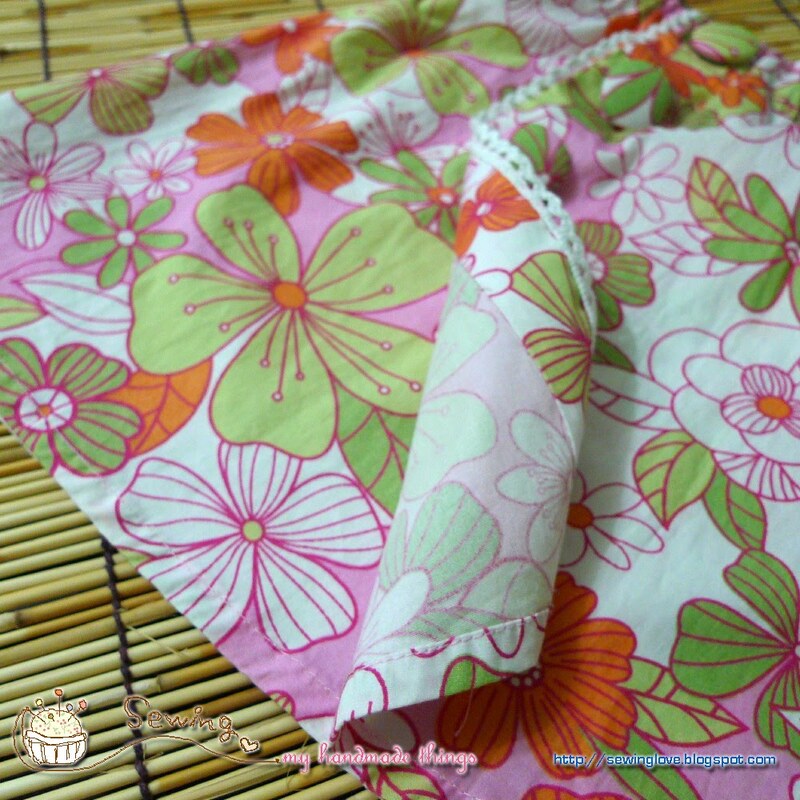 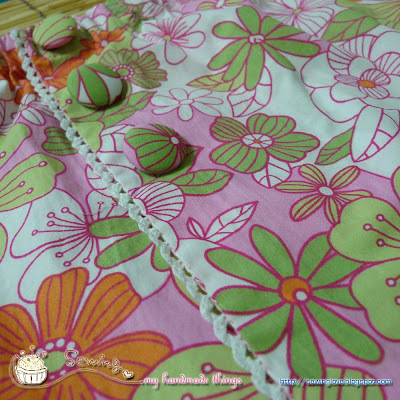 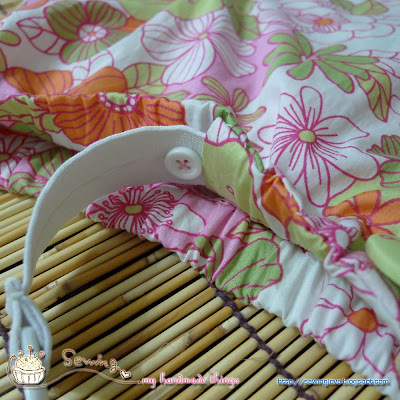 I sew a simple scalloped lace to the side of the skirt opening. The waist band has an adjustable elastic band, which was recycled from my old maternity pants. 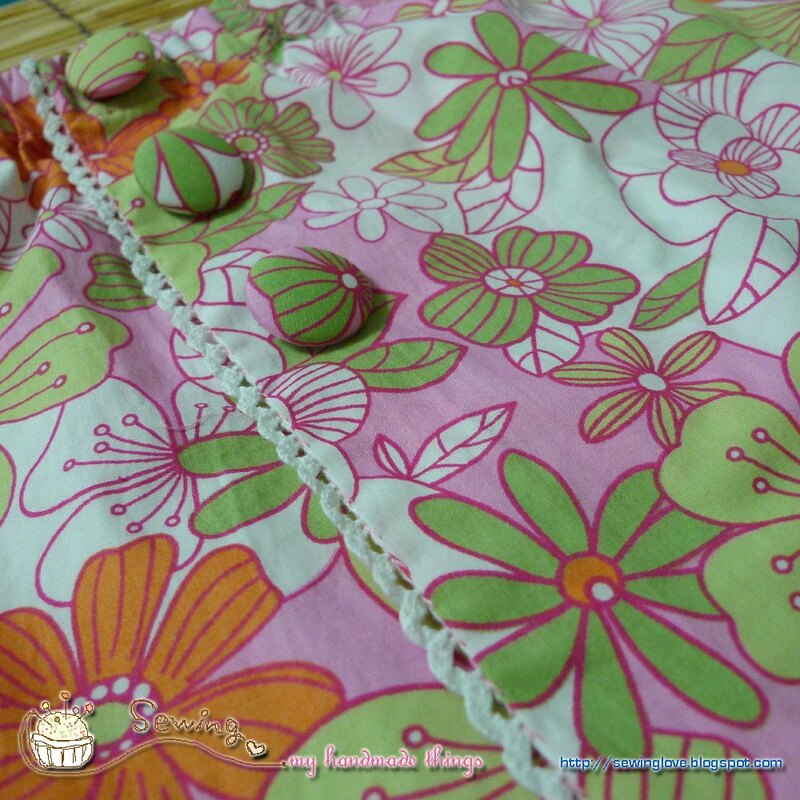 I also made 3 fabric buttons using the same fabric and sew them vertically to the side.